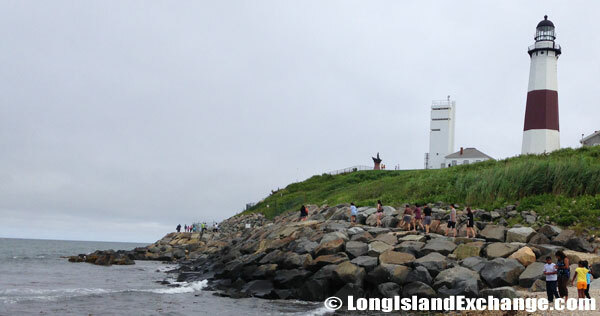 Montauk Point Lighthouse: 132 miles East of Manhattan on Route 27 Sunrise Highway, at the very tip of Long Island, it takes some effort to get to the Montauk Point State Park. 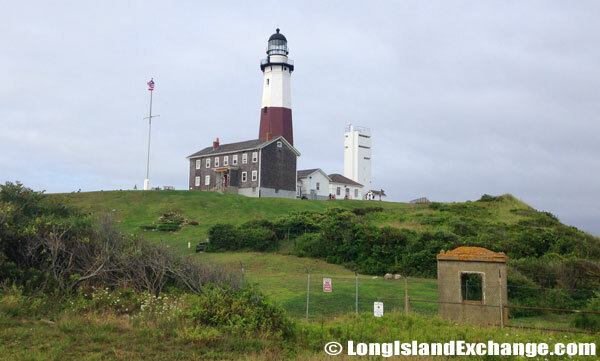 Montauk’s small population of under four thousand belies its reputation as one of the best vacation and tourism destinations for those seeking beautiful sites and a bit of peace and quiet. Long listed on the National Register of Historic Places, in 2012, it was designated as a National Historic Landmark. The museum is open everyday, including Sunday. The museum fee is in addition to the parking fee to access the park areas. 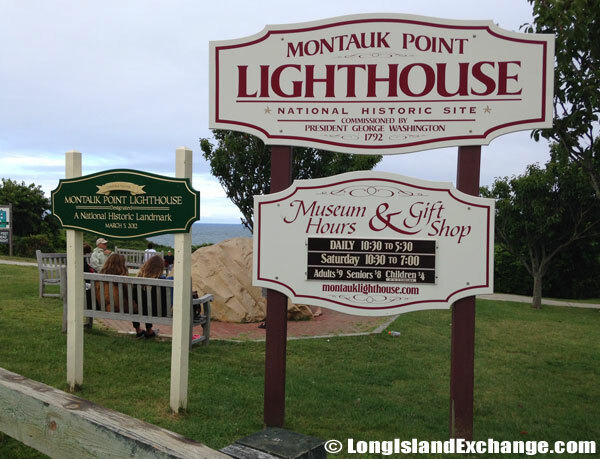 Montauk Point is named for the Montaukett Native American tribe, first encountered by Dutch explorers in 1614. The area developed slowly over the next century, with the natives and the settlers engaging in various pacts and conflicts over the century regarding the use of the point. 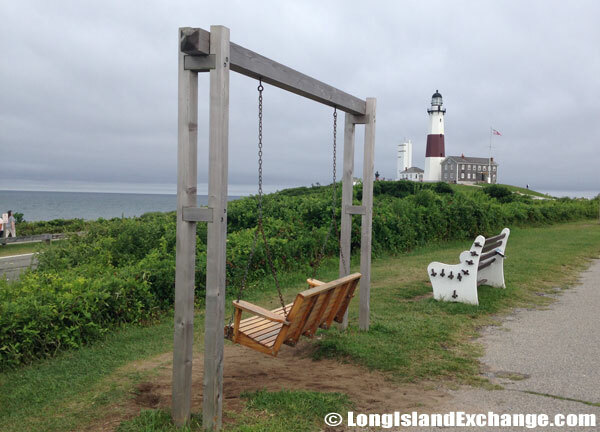 Interestingly, it was used as a cattle grazing area for some time, giving Montauk the claim of oldest cattle ranch in the United States. Off the rocks below the lighthouse. Edward H. Ryder, Lighthouse Keeper. Looking up from the rocks below. By the late 18th century, the point served as an important landmark and staging area for several battles in the American Revolutionary War, including the Siege of Boston; one British Ship, the HMS Culloden, sank just off the point in pursuit of a French ship, not to be discovered for nearly two hundred years. 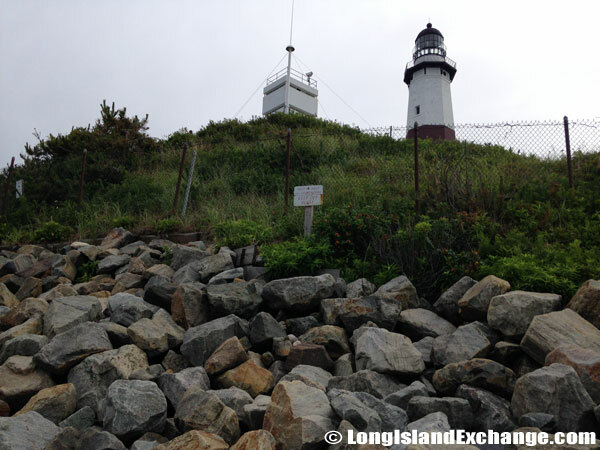 Not long after the war’s conclusion, in 1792 Congress approved a lighthouse to be built at the point. 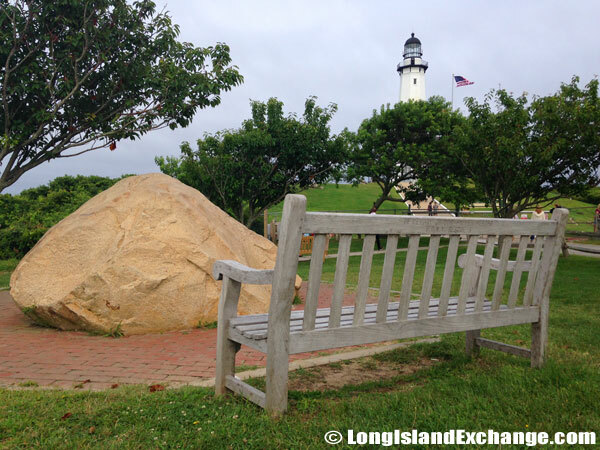 Montauk Lighthouse remains the fourth oldest lighthouse in the entire nation, and the first to be built in New York. 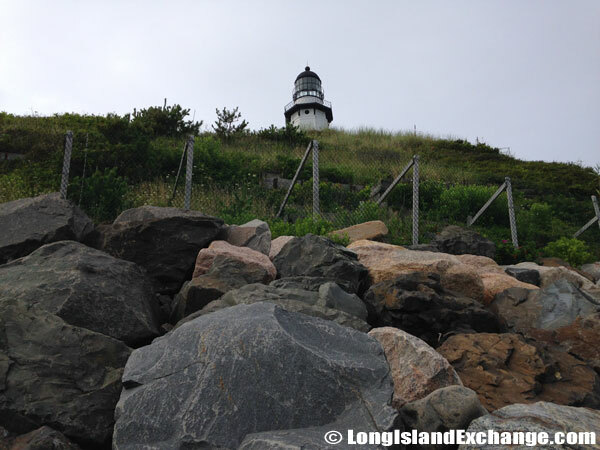 A rough terrain makes for a trail around the lighthouse. 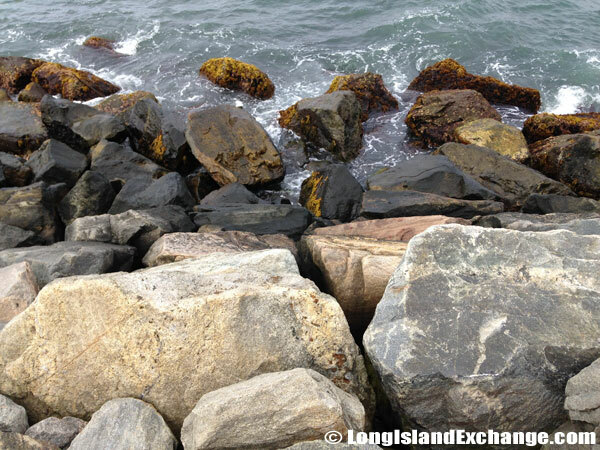 A trail of rocks below the lighthouse has you watching your step. 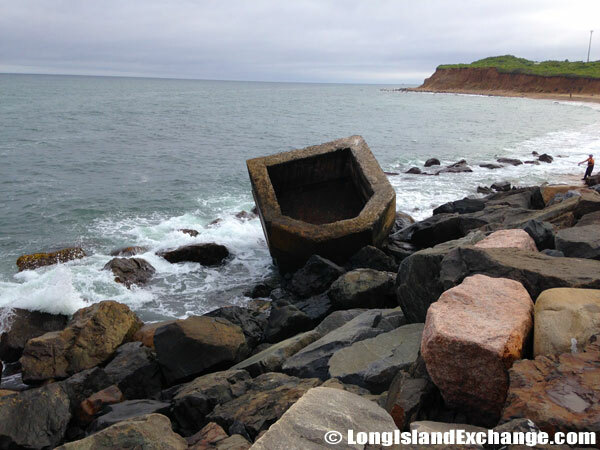 Montauk’s brushes with history do not end there: the famous slave ship Amistad ultimately came ashore at the Point. A Spanish galleon, the slaves aboard had taken over the ship in rebellion. The slaves were captured once ashore and ultimately faced the Supreme Court, where future president John Quincy Adams successfully argued that the slaves had been kidnapped, allowing them to sail home to Africa. The case was of major significance to the already roaring debate over slavery at that time. 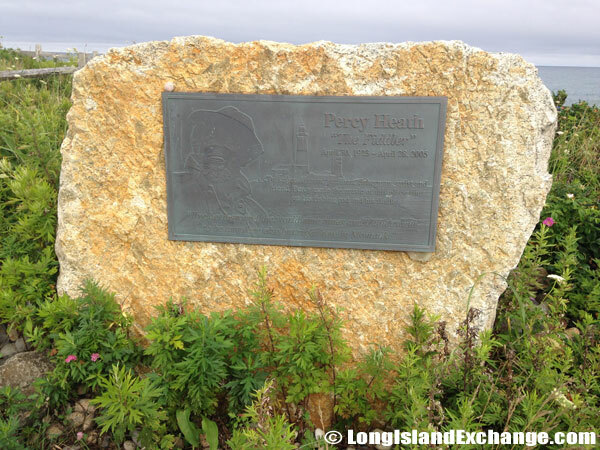 An engraved bronze memorial plaque tribute to Long Island legend and Montauk fisherman Percy Heath. 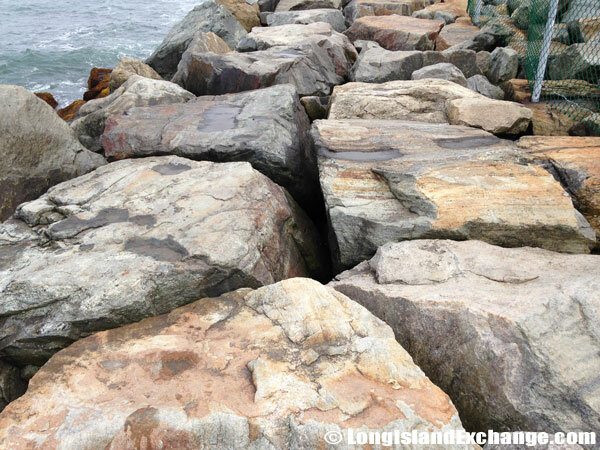 Today, Montauk serves as one of the premier tourist destinations in Long Island for residents of New York as well as other New England States – at its closest point, Montauk lies only 20 miles off the Connecticut coast. 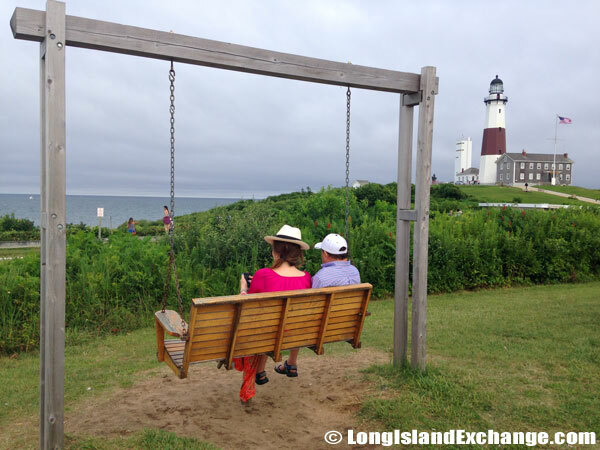 As with many beach resort towns, Montauk boasts an unusual number of restaurants and hotels for its size, and is one of the busiest locations in East Hampton during the summer months. During colder months – typically from November to April – the point is far less busy as many of the tourist-focused businesses close down for the season. Notably, there is not a single chain restaurant or hotel anywhere in the area, as zoning regulations in East Hampton prevent them. From the west side of the rock trail. Its positioning at the furthest east point in New York State makes Montauk a prime fishing and boating location, and both recreational and professional fishing vessels have heard the call: in the entire state of New York, Montauk boasts the largest fishing fleets in both commercial and leisure categories. A couple sits near the parking lot area and takes it all in. 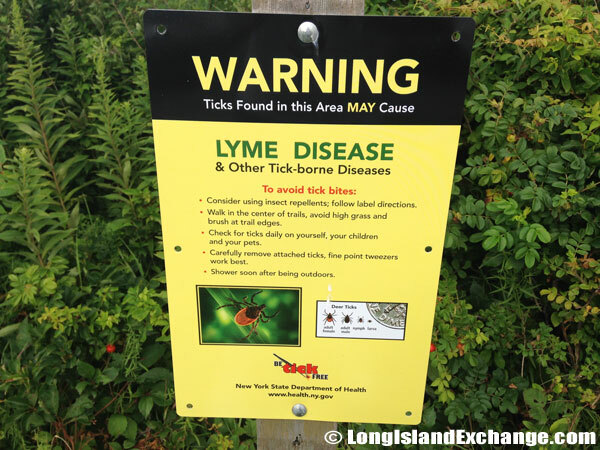 Ticks in the area may cause Lyme Disease. Benches near the parking lot area. 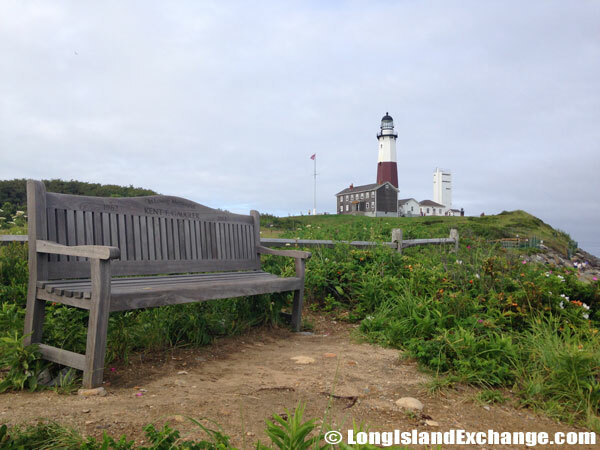 Montauk boasts six state parks: Hither Hills, Shadmoor, Montauk Downs, Amsterdam Beach, Camp Hero, and Montauk Point. Between them and the miles of mostly undeveloped beaches, hiking is a very popular pastime in the area. Many miles of trails and roads lay out prime hiking paths, and guided hike options exist for those seeking to learn about the area and native wildlife during the trek: bird watching is especially great on the east side of the island. From the east side of the rocks. A fence borders the lighthouse grounds along the rocks below. 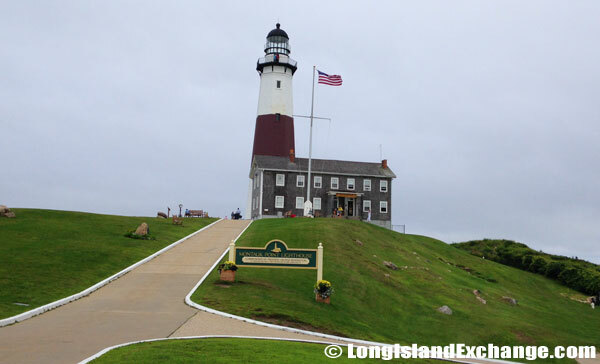 The 200+ year-old Montauk Point Lighthouse is a very common destination, and unlike many other monuments of its age, visitors are permitted to take guided tours and climb the lighthouse themselves – a full 137 steps. Its location on the water opens up a number of nautical possibilities: whale watching tours are a common sight, as are more relaxed cruises and fishing expeditions where everything required is provided. 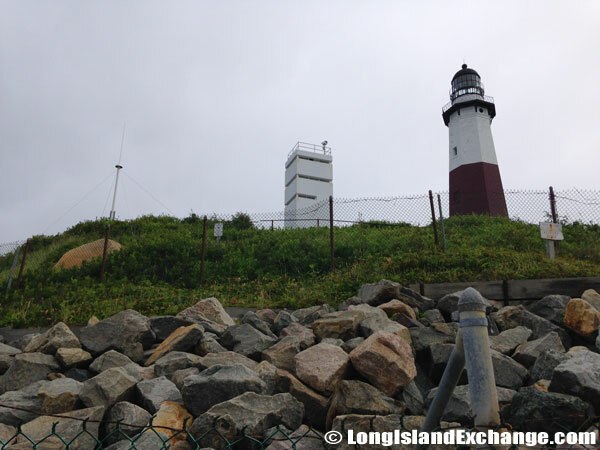 There at the eastern most tip you will find the 200+ year-old Montauk Point Lighthouse. The structure was built and completed in 1796, during the time of President George Washington. 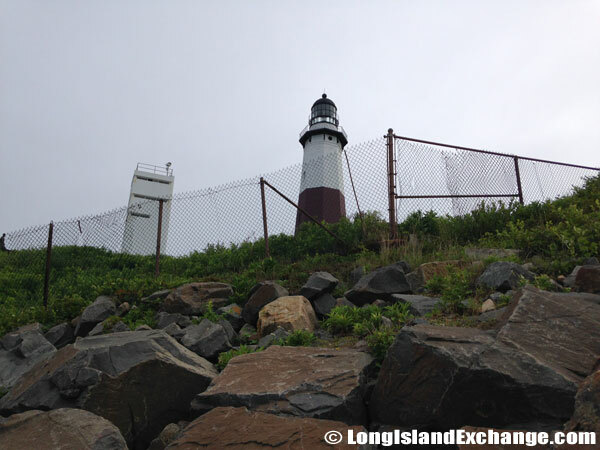 The Montauk Point Lighthouse was the first to be built within the state of New York, and is currently the fourth oldest active lighthouse in the United States.. It stands 110’6″ tall and has lights that flash every five seconds. 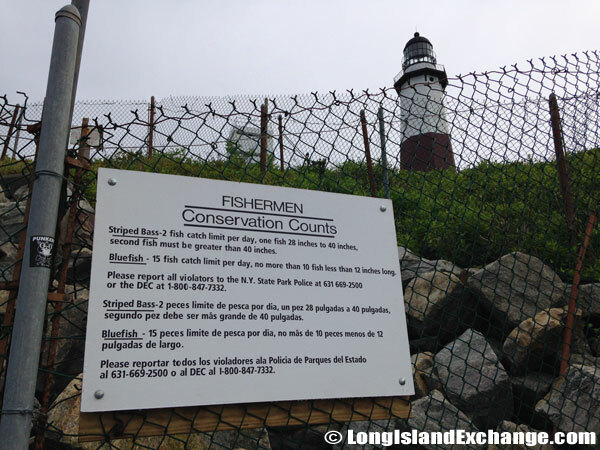 Conservation rules at Montauk Point Lighthouse. From the southeast over the rocks. 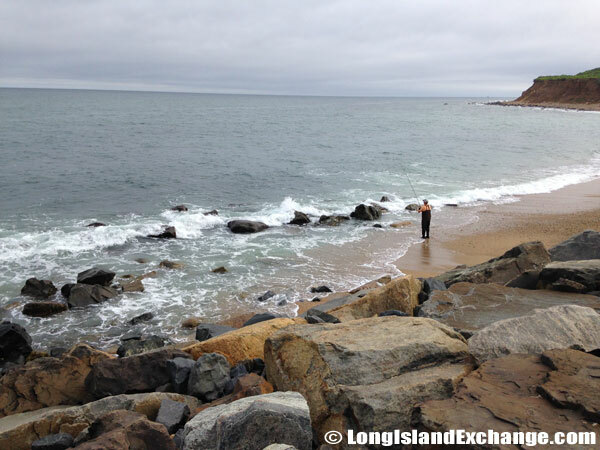 While surfing on the east coast is not quite as idolized as it is in the west, Montauk Point remains one of the best places east of the Mississippi to do it, complete with surfing lessons available for the newbie. Even if you are not interested in tearing up the waves, the beaches allow for hours of soaking up the sun in peace. Fee booth which collects parking fees. 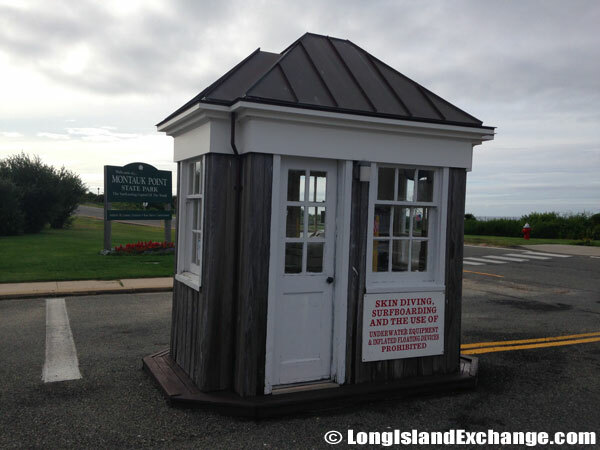 The parking fee is separate from the lighthouse museum fee. Golf is always a favorite activity of resort towns, and The Montauk Downs Golf Course is widely regarded as one of the best in the eastern United States. Other activities for those weary of the water include horseback riding, tennis courts open to the public, and skateboard parks. For those who love the nightlife, Montauk has over thirty bars and nightclubs open during the summer season. 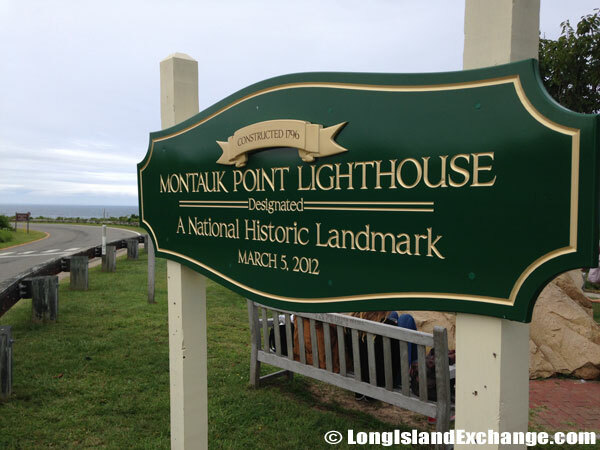 From its origins as the home of the Montaukett tribe, to being a prime military location during a number of wars in the nation’s early history, to the much-loved tourism destination it is known as today, Montauk Point has worn a number of hats and worn all of them well. 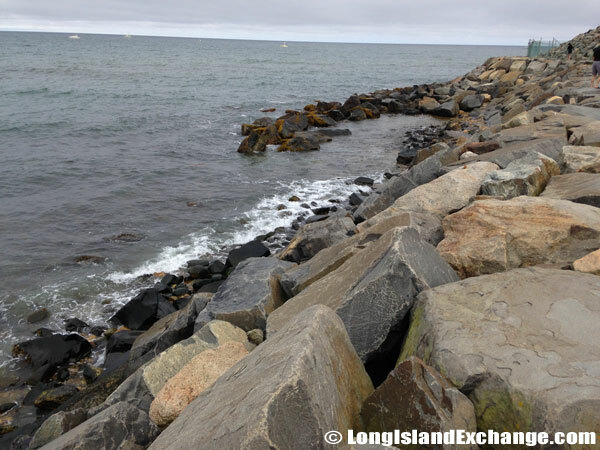 Visiting in the summer to take in the beautiful sights, or even moving to Montauk and embracing the temperate, but quiet, winters, would never be a choice to regret. 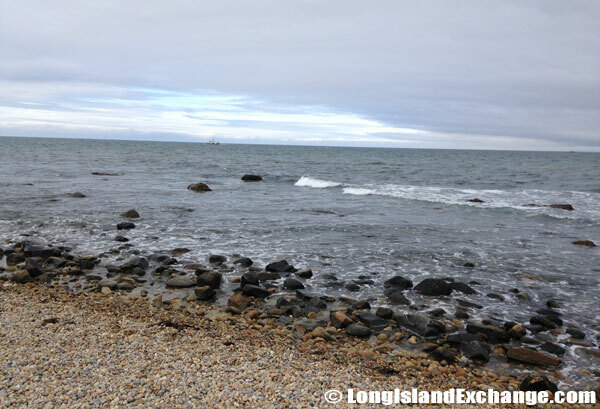 Even greater than its historical value, the Montauk Point Lighthouse allows you to see Connecticut, Rhode Island and Block Island on a clear day. 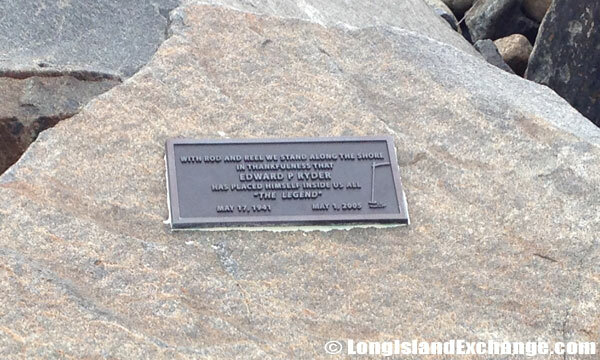 On March 5, 2012 the lighthouse was officially designated as a National Historic Landmark.